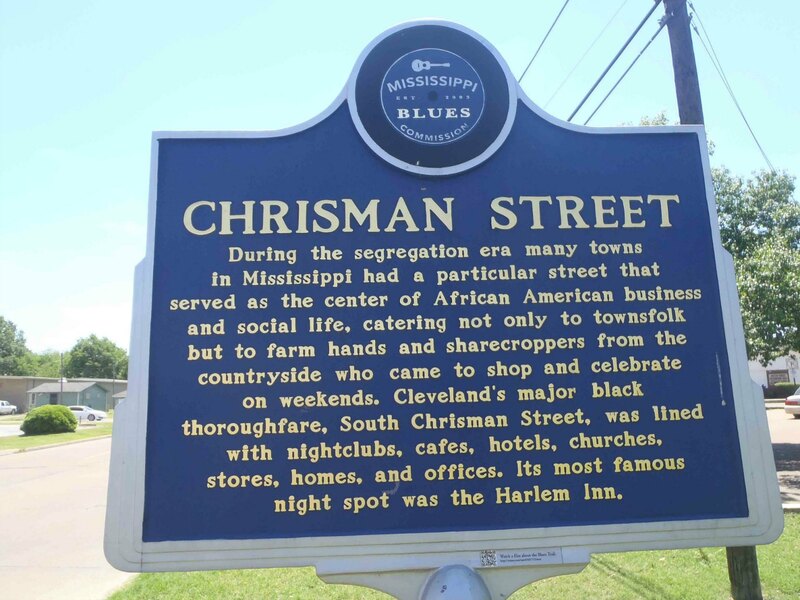 This Mississippi Blues Trail marker commemorates Chrisman Street, or more specifically, South Chrisman Street, in Cleveland, Bolivar County, Mississippi. South Chrisman Street was a center of African-American commercial, social and cultural life in Cleveland until the mid 20th century. Unfortunately, little, if anything, remains of this once vibrant scene today. 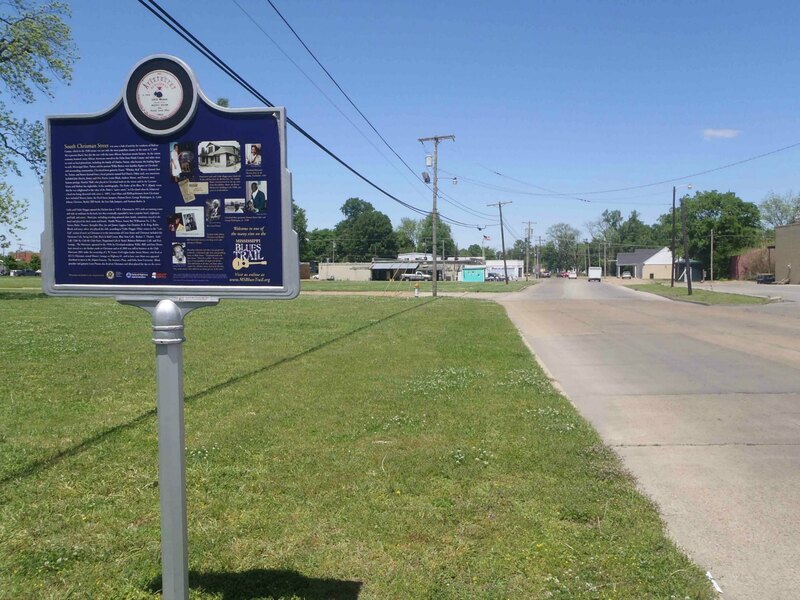 Standing at the Mississippi Blues Trail marker and looking around at the surrounding area of Chrisman Street, one cannot see any traces of the vibrant social, commercial and cultural scene described on the marker. 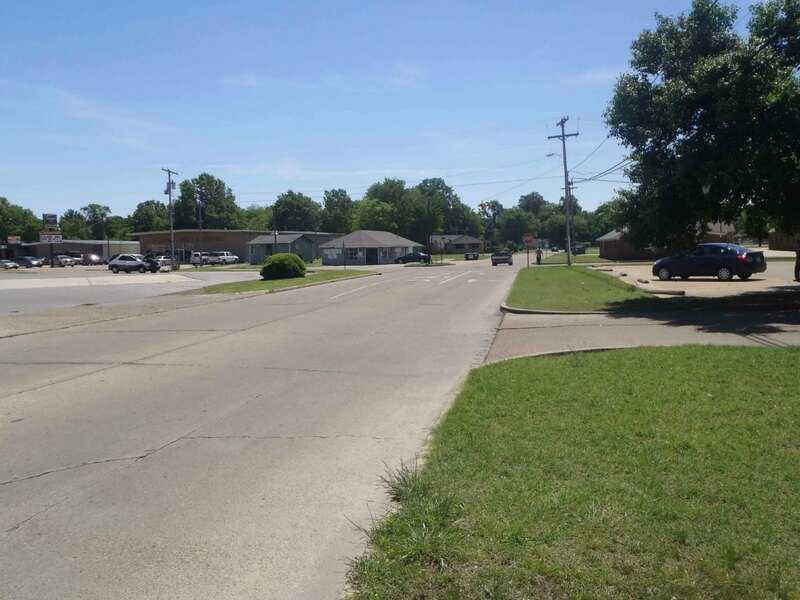 Here are some photos of how Chrisman Street appears today to someone standing at the Mississippi Blues Trail marker. While exploring the Mississippi Blues Trail in Cleveland, you should also check out the W.C. Handy’s Enlightenment About The Blues marker in front of the Bolivar County Courthouse.